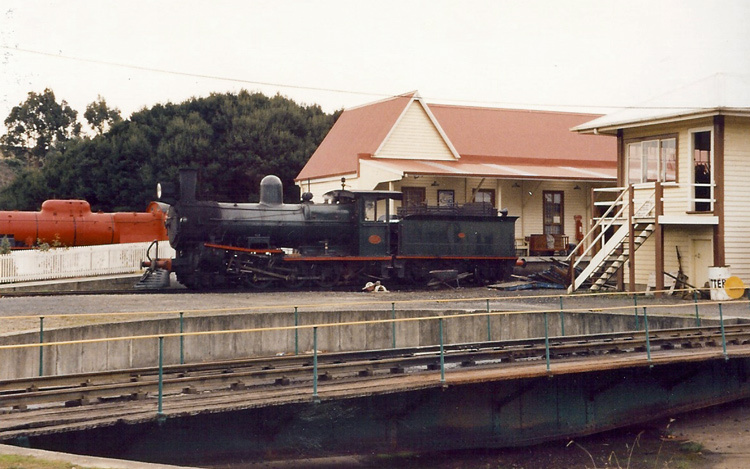 This photo is kindly provided by Anthony Winstone and shows CCS25 at Coles Beach platform, Don River Railway on 7 November 2004. Six members of the Tasmanian Government Railways' C-class were later rebuilt to the CC class, which featured a higher-pitch Belpaire boiler and the characteristic TGR front-end comprising an extended / self-cleaning smokebox and stovepipe chimney. 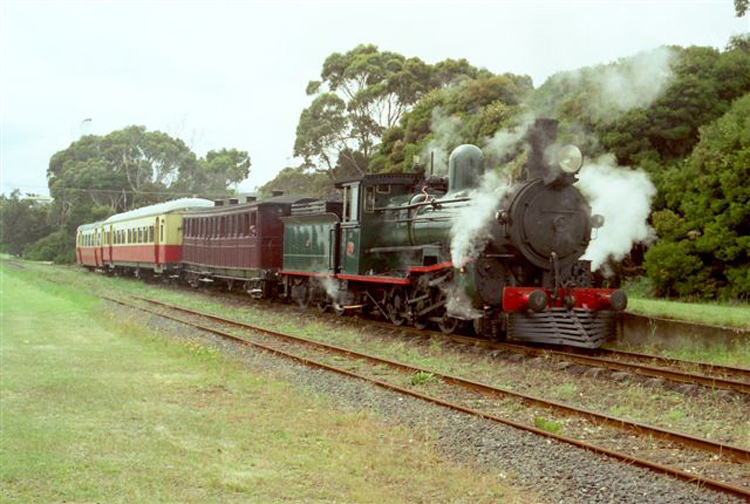 A later rebuilding variant was the CCS class which added superheating, Walschaerts valve gear and new cylinders to the CC design; C25 was one of four such 'CCS class' locos rebuilt by the Tasmanian Government Railways between 1924 and 1928. 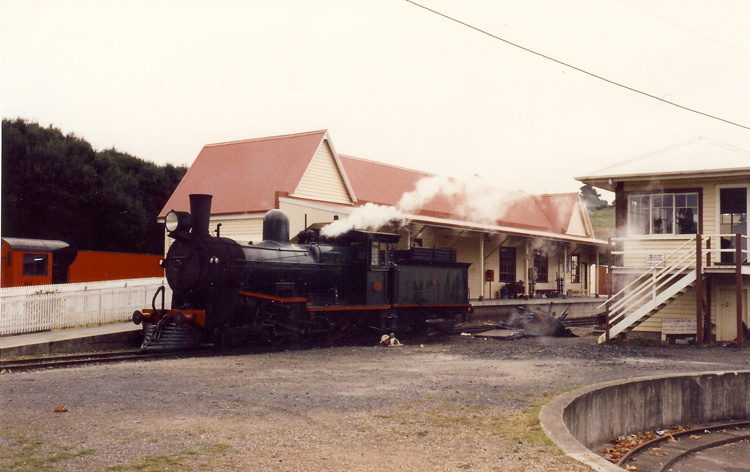 CCS25 was withdrawn by the Tasmanian Government Railways in 1965. Fortunately it has survived into preservation as an operating exhibit at the Don River Railway where is regularly hauls visitor services along the branch line between Coles Beach junction and the museum and workshop site at Don. These three scanned photos show CCS25 at work at Don during the webmaster's very enjoyable visit of May 1993. A stack of broken blue pallets are heaped near CCS25's tender... and provided enough heat to keep the loco in steam! 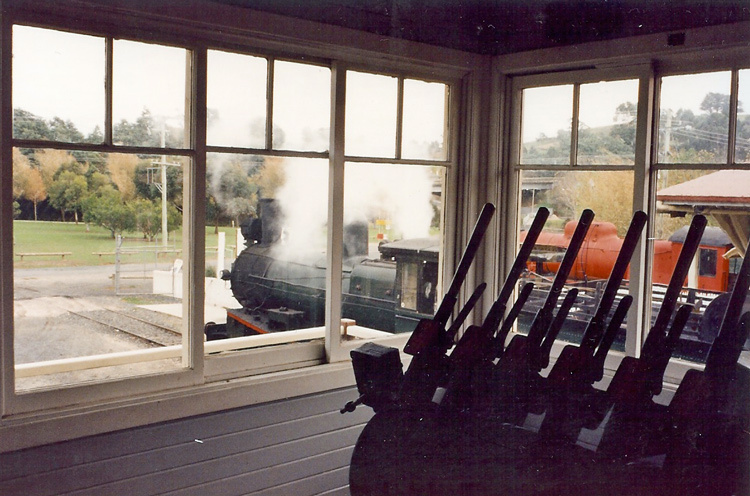 A view though the signal box windows.